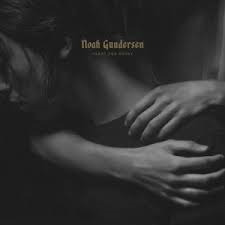 The second full-length from the Seattle folk singer Noah Gundersen is honest, and in a meaningful, satisfying way, consistently challenging. Most songs revolve around melodies of piano or acoustic guitar, but using the staggered introduction of drums, electric guitars, and strings, Gundersen often whirls Volcano Chior-sized crescendos and releases. Lyrically, Gundersen's most interesting work focuses on the evolution from his religious upbringing to his now apparent atheism; and the eventual beauty he found in that finality. He sings, "This is all we have. This is all we are. Blood and bones; no holy ghost. Empty from the start." His confidence is brimming, palpable, and contageous. Joining Gundersen on his inverse faith-journey is not a prerequisite for enjoying Carry The Ghost, as he hits the more traditional folk-fodder of heartbreak on the many other tracks. He aims high, and when he hits, the listener can hear Gundersen summoning the deceased Vic Chesnutt. Stand-out tracks: "Halo: (Disappear/Reappear)", "Heartbreaker", "Empty From the Start"
The Nottingham, England duo Sleaford Mods pump out a pulsating plend of British punk and American hip-hop. Snapping beats and deep bass propel forward vocalist Jason Williamson's heavily accented, rapid-fire rants on capitalism, unemployment, and pop culture. Equally influenced by The Clash as Public Enemy, Sleaford Mods' obvious skill allows them to transend any potential dismissive "mash-up" labeling. Sharp wit, brazen vulgarity, and keen observations on the ironies of life in modern England, lift Key Markets from mere curiosity of genre blending, to a ferocious audio battleflag for the disaffected. Stand-out tracks: "No One's Bothered", "Face to Faces", "Silly Me"
On Infinite Dissolution, experimental ambient black metal band Locrian double-down on all the elements that made 2013's Return to Annihilation such a thrilling listen. Lush, aural layers of woozy, droning ambience unfurl for minutes on end before pounding drums slowly emerge with an increasing heartbeat that leads to the inevitable explosion of riffage and groweled vocals. Some movements opt for throbbing electronics as their means to grab the listerer from the swrilling soundscapes before the thunderous, battering attack emerges from beneath the waves. Nominally a concept album about the struggle of extinction, Infinite Dissolution is hauntingly 95% instrumental; a fair, brilliant warning that this is what it may sound like when we're no longer around. To use my annual Battlestar reference, this record is what the Cylons had on repeat as they searched the endless frozen expances of space for the few lasting remnants of human survival; marked for liquidation. Infinite Dissolution is one of 2015's signature artistic achievments, and must be cherished as such. Stand-out tracks: "Dark Shales", "An Index of Air", “Heavy Water"